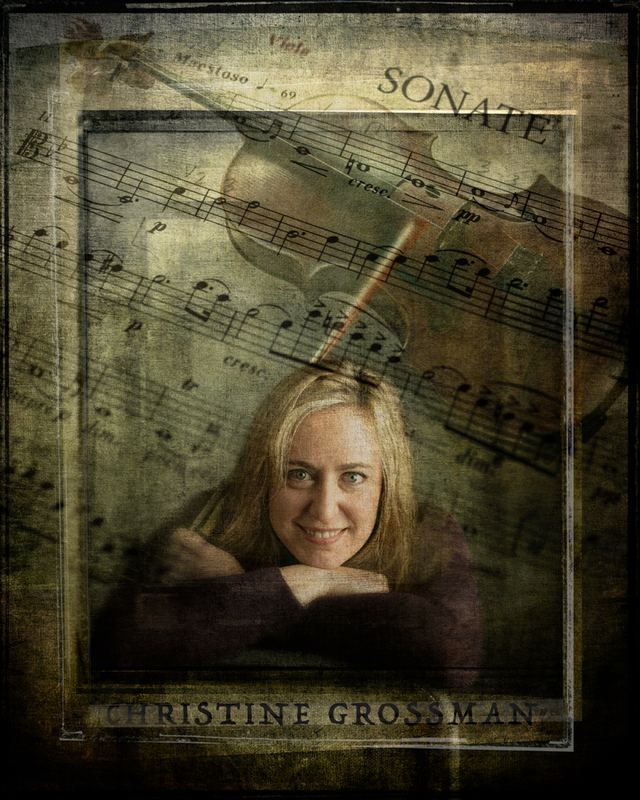 Born to a musical family and raised in New York City, Christine Grossman began playing the violin at the age of five, piano at ten, and viola at sixteen. She received both her Bachelors and Masters degrees in viola performance from the Juilliard School where she studied with Heidi Castleman, Misha Amory, and Hsin-Yun Huang. Ms. Grossman has participated in numerous summer music festivals including The Schleswig-Holstein Musik Festival (Germany), Taos Chamber Music, Lake Tahoe Music Festival, Deer Valley Music Festival, Great Lakes Chamber Music Festival, Festival Mozaic, and was awarded a fellowship to attend Tanglewood Music Center for two summers in a row. Her orchestral experience includes Principal and Assistant Principal chairs with the Delaware Symphony, Reading Symphony, Michael Tilson-Thomas’ New World Symphony, Tanglewood Music Center Orchestra, Schleswig-Holstein Festival Orchestra, and the New York String Seminar. Ms. Grossman is an avid chamber musician. Notable performances include collaborations with Edgar Meyer, Paul Katz, Fred Sherry, Simone Dinnerstein, Hung-Kuan Chen, and members of the Muir Quartet. Before joining the Kansas City Symphony as its Principal violist at the beginning of the 2008-2009 season, Ms. Grossman resided in Philadelphia, where she studied privately with Roberto Diaz and held the Associate Principal viola position with the Delaware Symphony. In the fall of 2010, she was the featured soloist in performances of Berlioz’ Harold in Italy with the Kansas City Symphony. Ms. Grossman joined the International Center for Music faculty in 2013.